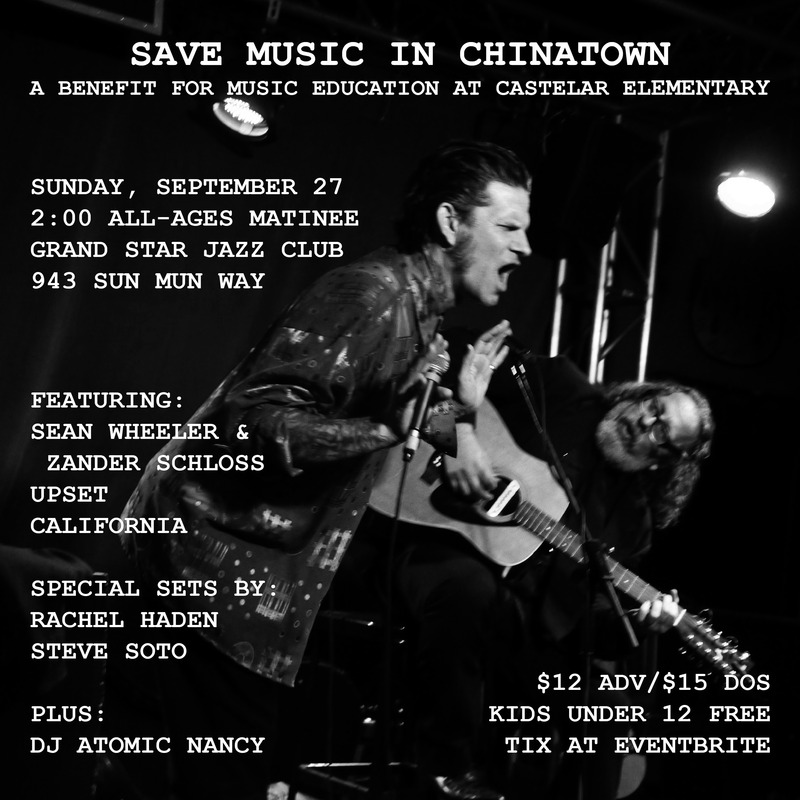 In a couple of weekends, we’ll be hosting our seventh Save Music in Chinatown show. Some things haven’t changed since Wendy and I came up with the harebrained idea to try organizing all-ages benefit matinee concerts to raise money for the defunded music education program at our daughter’s public elementary school. • Castelar still must raise $50,000 annually to pay for music classes for the kids. Our shows can’t pay for all of it but we can make a difference, raise awareness, and foster a community. • The lineups are stellar, our stash of raffle prizes is amazing, and the bake sale has achieved legend status. But some things have changed, too. • We’ll always appreciate Human Resources for giving us a place to start and grow as well as a connection to the neighborhood’s awesome art scene, but finding a new home at the Grand Star is a step toward carrying on the punk rock heritage and adding to the tradition of the Hong Kong Café and Madame Wong’s. 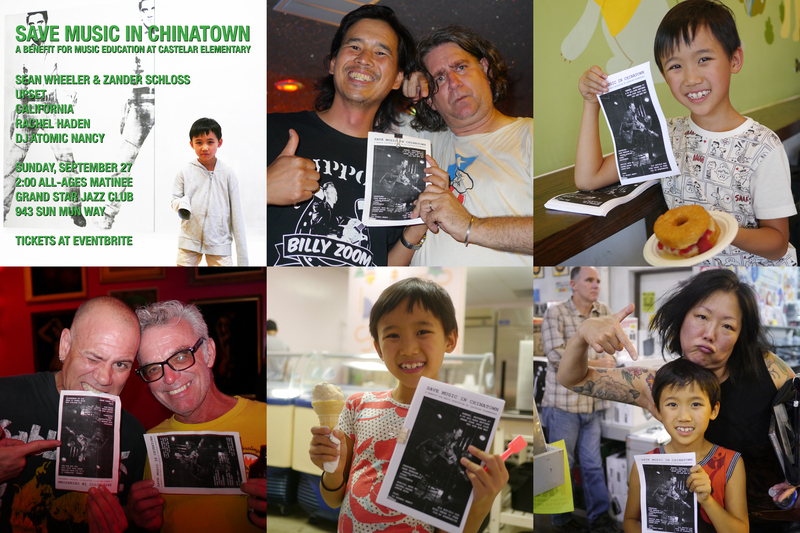 • We’ve amassed a small-but-dedicated army of friends in awesome bands, rad venues, and DIY media outlets that love the history of punk rock in Chinatown and help us pay tribute to it while helping the local kids. • Personally, Save Music in Chinatown has been a shift from making things on a printed page to making things happen in real life, but I’m in the process of making a Save Music in Chinatown zine in time for our next show! I’ve stated this before and I still believe it so I’ll repeat it. When we have a Save Music in Chinatown gig, we’re really make my perfect day a reality (sorta like the ones we used to print in Giant Robot mag). Waking up late and rolling out on a Sunday afternoon when there’s free metered or cheap parking available, seeing a bunch of amazing bands for a bargain price with killer snacks and quality coffee, and being able to take kids if they can handle it. Seeing friends and family who don’t go to as many shows as they used to because of stinky, late night venues full of assholes and poseurs. Being done around 6:00 p.m. so you can grab some noodles for dinner before getting home at a decent hour and being ready to get up early on Monday. And not only are we helping mostly immigrant kids at an inner city school receive music education, but we are exposing the handful that show up to DIY culture. They get that music isn’t just played by rock stars or rappers at Staples Center but by regular folks who lug their own stuff around and play on tiny stages for friends. And if even lame parents can be part of something cool, why can’t they? Please check out and share the event page on Facebook and ticketing information at Eventbrite, and hope to see you in Chinatown on Sunday, September 27. Thanks for the support and hit me up if you have any questions! Below, clockwise from top left: Elvis, Tony from The Adolescents, Donut Friend, Margaret Cho, Scoops Chinatown, and Dan from The Adolescents and Dennis from The Crowd are down with the cause.